If you are fond of roughing it and enjoying the great outdoors every so often, a backpacking tent presents a great investment piece. In fact, this is a must for every adventure lover as it does not only provide shelter from the storm and privacy from other campers; it is also a refuge from all those ill-mannered parasites and insects. 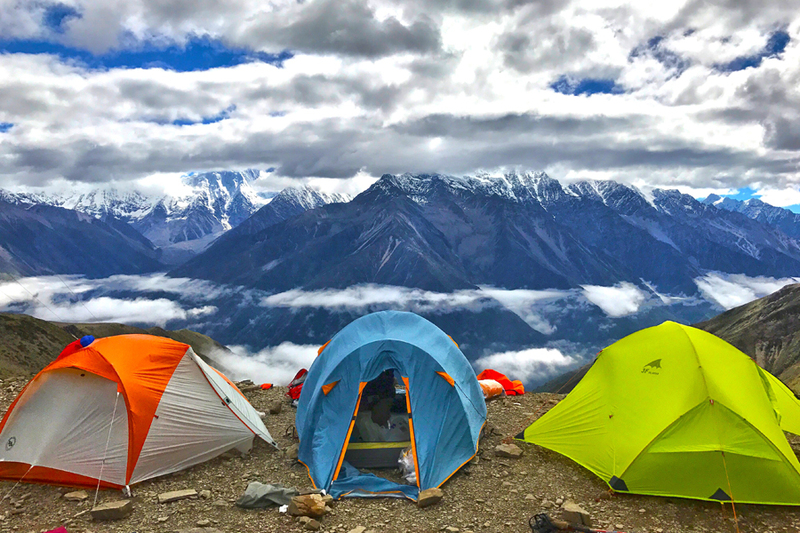 With all the variety of designs, sizes and styles to choose from, the seemingly simple task of choosing the right backpacking tent can easily turn into a rather daunting task. When shopping for one, your top considerations should be the likely weather conditions, a balance of weight, space and price and of course your personal preference. 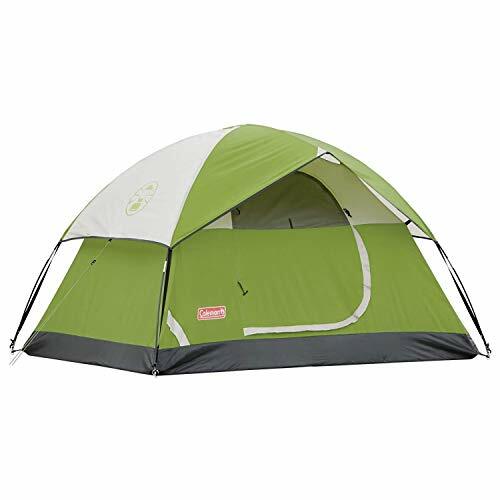 Backpacking tents are generally categorized based on two types: sleeping capacity and weather readiness. With this in mind, you want to take into account how many people do you anticipate to sleep in the backpacking tent? It can usually range from one to four people. Second, what type of weather do you plan to encounter? Do you anticipate setting camp in humid or warm conditions? Then you may want to choose one with ventilated mesh panels. This is another 2-person tent that features a spacious 35-square feet interior. It features a removable canopy shelf and an impressive 3-season flexibility, which means you can look forward to using it most of the year. The tent is constructed with mesh wall panels and taped floor seams so you can enjoy optimum security but with adequate ventilation. For your personal effects, the tent also comes with storage pockets and a removable pocket on its ceiling loft. To provide sturdy structure, the tent is set up using 8 pieces V-Stakes made with 6061 reinforced aluminium. 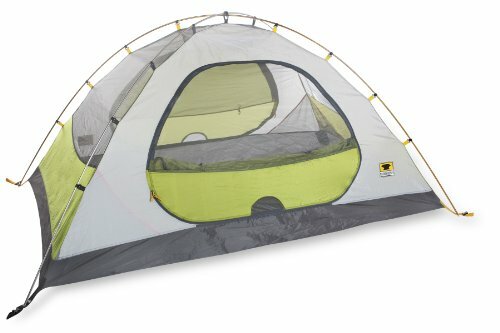 Overall, this tent presents a great investment piece and great value for your money. A standout feature of the Solitaire tent is its exceptional ventilation system, complete with a mesh roof that allows you to enjoy stargazing during nice weather conditions. Featuring floor and fly seams that are both factory taped, this tent is built to provide great protection even under extreme weather conditions. It is also constructed with bathtub floors which effectively keeps the seams high and taut off the ground for maximum protection. As a single person tent, the interior area measures 21.33 square feet with a center height of 2 feet and 4 inches. The tent poles can be attached to the body using pin and ring, making it fairly easy to set up. 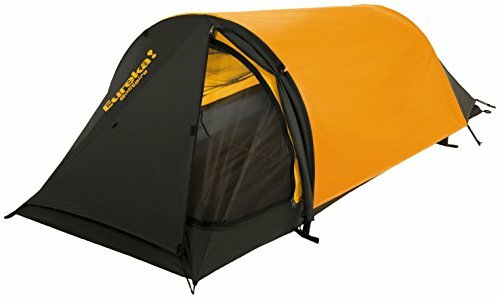 Whether you have just discovered the joys of camping or you love weekend getaways, this is a solid, durable tent perfect for solo backpackers. Presenting a basic dome tent made with solid construction, this one makes an ideal outdoor partner for solo travellers, car campers as well as beginners. The Sundome is specifically designed to keep you cozy and dry with its adjustable ventilation called Variflow airflow technology and the WeatherTec System. With the capacity to house a maximum of two people, it comes with all the features you need to sleep in comfort even in the middle of the wilderness. It is designed with a privacy window, a Cool-Air port, interior pocket for your personal effects, shock corded poles, electrical access port and a durable carry bag. The height at the center of the tent is 48 inches and supported by 8.5mm fibreglass poles, which means you will have plenty of room to move.